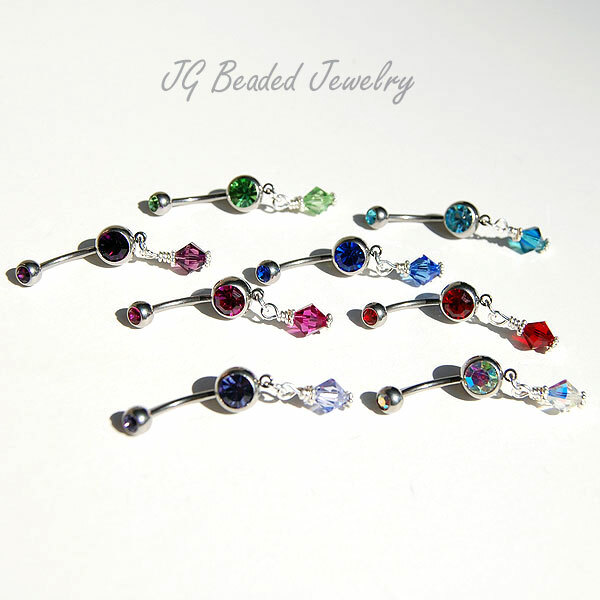 This Swarovski crystal belly ring is made with an Aurora Borealis cubic zirconia gems that are on both the top and the bottom. 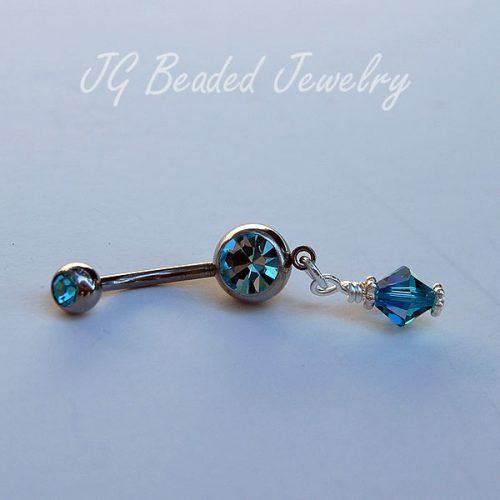 It is embellished with a wire wrapped Aurora Borealis Swarovski crystal and fancy silver beads and is a 316L stainless steel 014 gauge barbell. 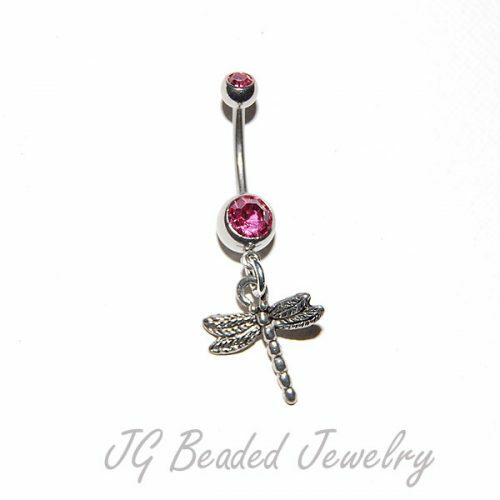 Hangs nicely below the belly button.